Well once again one of the big-name supermarkets is ‘giving away’ fantastic toys that can be utilised for mathematics investigations. I generally shop elsewhere but the call of miniature food items from my children (and I’ll admit, from me) have drawn me in. They remind me of the stories my mum tells of the miniature food items you used to get at the Royal Easter Show in days gone by. Tracey Muir @muir_tracey also saw the potential of these little groceries and posted on twitter how wonderful it would be to use them for proportional reasoning. I would also add measurement investigations to that as well. Proportional reasoning isn’t formally introduced in the NSW syllabus until Stage 4 however there are many opportunities to introduce this concept much earlier. Whether at school or at home, understanding the comparative nature of proportional reasoning is vital. Diane Siemon from RMIT in her research lists proportional reasoning as one of the six big ideas in number (Siemon, 2006). Simeon also highlights the necessity for students to understanding the underlying concepts of proportion, for example “in the structure of the place-value system… that for each ten, there are 10 ones” (Siemon, Breed, & Virgona, 2005, p. 5). The idea of for each is used within multiplication and is related to ratio and proportion where you relate the part to the total, for each of these (say a ‘normal-sized’ water bottle) how many of those (the miniature water bottle) are needed. 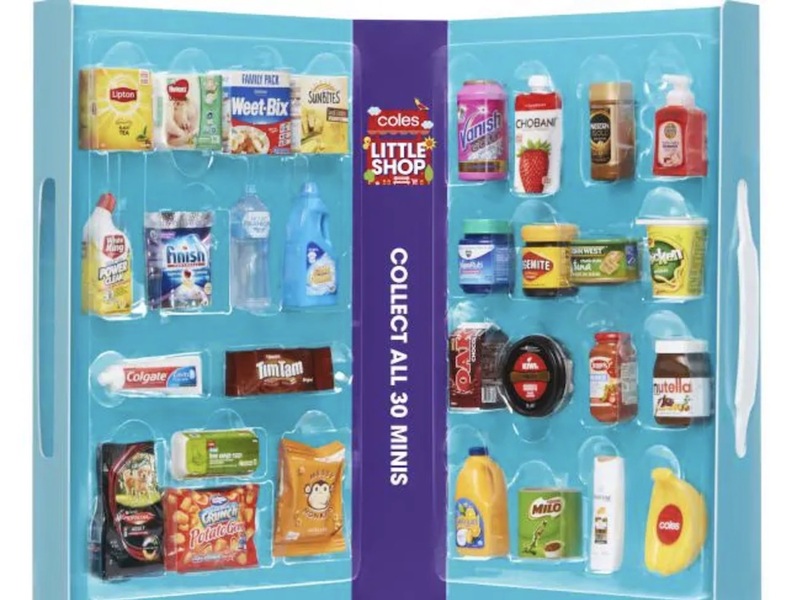 The ‘Little Shop’ miniature groceries allow for wonderful discussions based around noticing and wondering. I was first introduced to the idea of Noticing and Wondering after watching a video by Annie Fetter @MFAnnie #NoticeWonder on The Math Forum. By asking questions about an image or object, students start to think creatively and ponder questions for themselves. 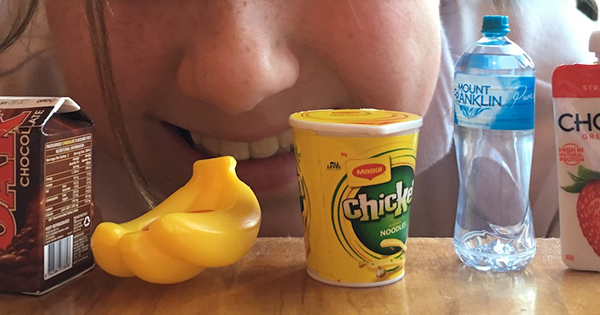 From simple measurement discussions around comparing the size of the items to in-depth conversations working out how much you would charge customers if these items were for sale (based on their proportion to actual items), there are multiple opportunities to use these toys as a stimulus for learning in mathematics. You can let your students or children notice and wonder for themselves. Or here are a few ideas for noticing and wondering to use with the miniatures you could use as prompts for further investigation. That the miniature groceries are shorter/ smaller than the actual groceries. That the miniatures are not in proportion to each other e.g. the Nutella is almost as large as the finish tablet box. That some of the items look like cylinders. That the Weet-bix looks twice the size of the egg carton. That the box items are mainly square or rectangular. How much smaller they are? How much liquid could the small water bottle hold? Could I draw a picture of the chicken noodles that is 5 times bigger? How heavy would the chip packet be if it was 10 times larger? How tall am I if I use the water bottle as a unit of measurement? How many mLs of yoghurt would the small yoghurt tube hold? How many pieces of bread could I cover with the Nutella from the small jar? How many finish tablets could fit in the small box and what are their dimensions? What size, as a percentage, is the Weet-bix box compared to an actual Weet-bix box? How big would the chicken be that laid the miniature eggs? What size would the box of Lipton tea be if I unfolded it to show its net? How big would the tree be to grow those bananas? Is the vegemite one-tenth the size of the real vegemite jar? If I was making spaghetti bolognaise with the small Leggo’s sauce bottle, how long might the spaghetti box be? What if you could design a toothbrush in proportion to the toothpaste? If you still get 11 Tim Tams in the small packet, what are the dimensions of one Tim Tam? What other items from the supermarket could I make to look miniature? How big or small would I need to be for the products to be in the correct proportion to me? Siemon, D., Breed, M., & Virgona, J. (2005). From additive to multiplicative thinking–the big challenge of the middle years. In Mathematics–Celebrating Achievement, Proceedings of the 42nd Conference of the Mathematical Association of Victoria, Melbourne, Australia: MAV. Siemon, D. (2006). Assessment for Common Misunderstandings Materials. Prepared for and published electronically by the Victorian Department of Education and Early Childhood Development.